The Best Bead blogs from thousands of top Bead blogs in our index using search and social metrics. Data will be refreshed once a week.Also check out Top Beading Youtube Channels list for Top videos on Beading. Bead newsletter is a comprehensive summary of the day's most important blog posts and news articles from the best Bead websites on the web, and delivered to your email inbox each morning. To subscribe, simply provide us with your email address. Ft Collins, CO; PA; MA; & NYC About Blog Interweave is one of the nation’s foremost art and craft media companies founded in 1975 by Linda Ligon. Follow to find some really great ideas to use with beads. Facebook fans 16,511. Twitter followers 28,045. About Blog This website was created just like a library of the interesting things about beads. You can find here free patterns, free schemas, instructions, tutorials and beads design, many photos of beautiful jewellery and beads and other useful and interesting free information from the entire internet. Facebook fans 66,277. Twitter followers n/a. forest city nc About Blog This channel is dedicated to the art of bead work. On this channel you will find fun and easy step by step bead weaving tutorials. Tutorials range from beginner to advanced. Facebook fans 15,978. Twitter followers 289. United States & Europe About Blog YouTube channel for The Potomac Bead Company, with bead stores across the US and Europe that offer gemstones, crystals, seed beads, glass, silver, wire, tools, and much more. Here, we teach hundreds of free beading classes, tutorials, patterns, and instructions. Facebook fans 27,854. Twitter followers 1,698. About Blog Bozic Art channel is all about step-by-step tutorials of best professional beading. Follow to learn new techniques that will help you make your own necklaces,bracelets,rings & earrings. Facebook fans n/a. Twitter followers 160. Lawrenceville, Georgia, USA About Blog At BeadsofCambay.com, we manufacture and source gemstone beads of the highest quality direct from the cutting centers. Explore the blog to discover wide variety of beads for jewelry making. Facebook fans 2,233. Twitter followers 343. About Blog Find new designs and experiments to do with various beads sizes and shapes. Facebook fans 20,441. Twitter followers n/a. About Blog Subscribe to the channel to find great designs and tutorials to make jewelry and learn something new about beading. About Blog A channel for all those who love beading. Get useful tips and ideas. Facebook fans 9,041. Twitter followers n/a. About Blog Beads Direct is your award winning one-stop-shop for beaders and jewellery makers. The blog contains new ideas using new components and innovative techniques to provide inspiration for everyone. Facebook fans 50,787. Twitter followers 11,665. Bradford UK About Blog Beadsjar brings you a brilliant collection of beads, findings, stringing materials and jewellery tools. On our website you will also find creative design ideas and free jewellery making tutorials. Facebook fans 7,399. Twitter followers 541. About Blog Jewelry making with beads is addictive. Learn how to make jewelry with free instructions, projects and ideas. Discover new beading techniques by reading the blog. About Blog Caravan Beads is a wholesale supplier and retail shop for Miyuki Japanese seed beads, Delica beads, as well as CLON beading thread and cord and CFLEX beading wire. Follow the blog to find ideas to make creative handmade jewelry. Facebook fans 4,691. Twitter followers n/a. About Blog In this blog you will find crafts, beading, greeting cards, digital graphics, tutorials and more. About Blog Endangered Trolls is a charm jewellery blog dedicated to brands such as Trollbeads, Elfbeads, Pandora, Redbalifrog and Ohm Beads. Facebook fans 8,162. Twitter followers 833. About Blog I-Beads, Europe's leading online bead retailer and wholesaler. The I-Beads catalogue includes a wide selection of Swarovski crystals, over 1,500 Toho seed beads, glass beads, semi-precious beads, metal charms, as well as quality findings. Facebook fans 5,404. Twitter followers 1,050. About Blog The mission is to produce one-of-a-kind bead mixes and strands in hot & trending color combinations using the world's most unique beads. Facebook fans 12,596. Twitter followers 978. About Blog John Bead was established in 1954 by Fritz John, who desired to introduce the quality and timeless elegance of Czech crystal culture into the world of western DIY crafts and design. Today, John Bead is an industry leader in providing wholesale and distribution of all ranges of quality supplies for DIY jewellery; from beginners to professionals. Facebook fans 4,750. Twitter followers n/a. New Milton, England About Blog CJ Beaders blog features useful and interesting information and knowledge about beads. Facebook fans 3,196. Twitter followers 518. About Blog Japanese Kumihimo designs and tutorials by Pru McRae. Facebook fans 1,115. Twitter followers n/a. About Blog Bead World is the premiere destination for high quality beads and supplies in Arizona.The blog provides useful insights to inspire your beading activity. Facebook fans 1,750. Twitter followers 1,124. Rhode Island About Blog Eureka Crystal Beads is a crystal and beading supply company. Follow to find an astounding assortment of Swarovski crystal beads and pendants. Facebook fans 8,466. Twitter followers 850. Seattle, WA About Blog Fusion Beads mission is to bring you a well-organized and easy-to-use site filled with information and inspiration. We want to share our love for beading and help you discover the joy of creating handmade jewelry. Facebook fans 147,178. Twitter followers 13,248. Facebook fans 172. Twitter followers 935. Massachusetts About Blog Trollbeads Gallery Blog shares unique ideas, designs and collections for all the enthusiastic beaders. Facebook fans 41,446. Twitter followers 2,265. New England About Blog Beading Arts features tutorials, business advice, and artist profiles for artists working with beads or making jewelry. Facebook fans 1,522. Twitter followers 1,291. About Blog All About Beads sells everything you need to make your own fashion jewelly. Find information on how to make use of beads to make fashionable jelwelry. Facebook fans 1,573. Twitter followers n/a. Middle America About Blog Candie Cooper is a jewelry designer with a passion for combining unique materials and color combinations, inspired by extensive travel and her years living in China. Facebook fans 6,456. Twitter followers 1,598. Texas About Blog Stephanie White has been creating and designing original handcrafted jewelry and gorgeous beaded gifts for more than a decade. Stephanie's goal is to provide quality handcrafted jewelry and beaded creations for discriminating buyers – those who appreciate unusual beaded jewelry that won’t be found in malls. Facebook fans 2,527. Twitter followers 526. Michigan About Blog Humblebeads provides nature inspired beads for creative designers around the world. The mission is to inspire jewelry designers to use art beads in every creation. Facebook fans 5,694. Twitter followers 2,378. About Blog Craft inspiration, information and tutorials on: Beading, Card Making, Crocheting, DIY Wedding, DIY Home Decor, Jewelry Making, Polymer Clay, and Sewing. About Blog Nirvana Beads is your resource for authentic Czech Glass Beads and buttons, Vintage Look Brass beads, Semi-Precious Stone Beads, Fire Polished Beads, Toho Seed beads and more. Berkeley About Blog We are an online bead store that is dedicated in supplying bead and jewelry related items to fullfill your creative pursuits. In the blog you will find a vast and ever changing selection of beads. Find ideas to make beautiful handmade jewelry. Facebook fans 4,424. Twitter followers 190. About Blog Nelson Is an Online Bead Store Specializing in Natural, High Quality Round and Faceted Gemstone Beads for Your Jewelry Making Projects. Find a wide collection of beads to inspire yourself. About Blog A blog on beads by Martha. Explore to know more. Facebook fans 239. Twitter followers 94. About Blog Find unique bead jewelry ideas for every occasion. Facebook fans 1,655. Twitter followers n/a. About Blog The blog gives beading ideas to all the people interested in the activity. Follow to know more. About Blog We are a group of Bead Artists, Designers, Teachers and Authors who share the love of beads. Follow the blog to find patterns for your beading pleasure. About Blog Stony Creek Bead is a blog for all your beading needs. Follow to find more information. About Blog A blog by Beki featuring beading ideas for beaders. Aberdeen, Scotland About Blog In this blog you will find beaded jewelry created using the finest glass and Swarovski crystal beads. About Blog A blog about bead weaving patterns. Find new ideas to make wonderful handmade jewelry like necklaces, bracelets, christmas ornaments and more. Auckland About Blog A blog by Natalie featuring creativity with beads. Facebook fans 1,209. Twitter followers 276. About Blog Handmade Ceramic Beads & Blog by Caroline Dewison. Facebook fans 1,552. Twitter followers n/a. About Blog This blog is about techniques, tutorials and ideas for lampwork glass beads. About Blog This blog is for everyone interested in beading. Find tutorials for beaded jewelry created using various stitches. Facebook fans 598. Twitter followers n/a. Santa Fe About Blog Browse through the lovely collection of unique hand-chosen beads and custom one-of-a-kind beaded jewelry by Shannon Schreiber. The mission is to help jewelry designers, artisans and beading enthusiasts to find inspiring material and supplies for their work. Facebook fans 3,591. Twitter followers 318. About Blog In this blog you will find creative beading techniques. About Blog Bead Trove blog offers beading tips and techniques. The beauty of Bead Trove is that it provides stunning bead patterns by indie artists and designers. Facebook fans 1,844. Twitter followers n/a. About Blog This blog is about beading. Cath Thomas talks about her love for beading by sharing some useful patterns and jewelry ideas. Michigan About Blog Humblebeads provides nature inspired beads for creative designers around the world. Humblebeads Jewelry is Heather's exclusive collection of handcrafted jewelry featuring her unique art beads. The mission is to inspire jewelry designers to use art beads in every creation. Facebook fans 6,581. Twitter followers 2,333. About Blog A blog on beading by Karin. Follow to find unique bead jewelry. About Blog Art Bead Scene is an interactive blog with the goal of uniting bead artists of all materials and the jewelry designers who use art beads in their work. Facebook fans 2,891. Twitter followers n/a. About Blog Starman, Inc. is one of the largest Bohemian Glass Beads distributors in the United States, located in the Seattle/ Puget Sound Area. The blog features insights of Czech glass beads, CzechMates, TOHO Japanese seed beads, and more. Facebook fans 6,184. Twitter followers n/a. About Blog My Daily Bead blog features Jewelry Making Ideas and Tutorials. About Blog A blog by Marsha Wiest-Hines giving some details about beads. Learn to make handmade beaded jewelry. About Blog Explore the blog to find innovative ideas that you can use to work with beads. About Blog Bead addict is a blog where Lori Schneider shares her designs and ideas for making creative use of beads. About Blog A blog about beading. Follow to find interesting things to do with beads. About Blog Learn to make jewelry using lampworked beads. About Blog Explore the blog to find handmade jewelry made using beads. Fort Worth, TX About Blog Mixed Mayhem Studios features the jewelry designs of B.R.Kuhlman featuring one of a kind, handmade jewelry using wire wrapping techniques, semi-precious stones, pearls, crystals, and Czech glass. The mission is to bring together the talents of one artist, and in the future other artists, and make their creations accessible to the public. Facebook fans 239. Twitter followers 252. About Blog Dry Gulch Beads & Jewelry is a family-owned business located in the Heartland of America with three generations of women designing, creating, and collaborating together for a great selection of beads and findings. Facebook fans 3,306. Twitter followers n/a. About Blog In this blog you will find handcrafted bead jewelry. Estonia About Blog Jewelry by mdmButiik is made from vintage crystals and rhinestones, pearls, beads and new antique copper coated brass. Follow to know more. Facebook fans 969. Twitter followers 53. Dublin, Ireland About Blog A blog by Mary Drea sharing some useful insights about beads. Facebook fans 3,911. Twitter followers 3,121. About Blog A place where you will find a lot of creative ideas and techniques for beading. Learn to make unique handmade jewelry. Facebook fans 4,184. Twitter followers n/a. About Blog A blog about handmade glass lampwork beads. About Blog A blog for jewellery designers looking for unique beads, and jewellery lovers looking for a gift or a treat for yourself. Randfontein, Gauteng, South Africa About Blog Find bead weaving patterns and tutorials for seed bead jewelry. Facebook fans 468. Twitter followers 12. About Blog A blog featuring original seed bead patterns and designs by Bead Crumbs. Sharing whimsical brick stitch/peyote stitch bead weaving ideas and other crafting projects. About Blog A blog encouraging and inspiring all the bead lovers to embrace the art of seed beading. About Blog The blog will keep you posted on latest design jewelry. The primary focus is intricate beadwork. About Blog The channel focuses on providing useful on beading techniques and projects. Stay up to date with the latest beadwork methods, with a heavy emphasis on complete projects that you can do to start to finish. Facebook fans 32,768. Twitter followers n/a. About Blog The Esty BeadWeavers is made up of bead artists who aspire to successfully market their beadwoven creations on Etsy.com and elsewhere. The Beadweavers' creations are different from many of the traditional beaded items, in that they are woven from hundreds or thousands of tiny beads to create intricate designs and pictures. These weavings take the form of both art and jewelry. Facebook fans 9,250. Twitter followers n/a. Brisbane, Australia About Blog Melissa Ingram is a nationally and internationally awarded and published Beadwork and Mixed Media Jewellery Artist and Tutor based in Brisbane, Australia. About Blog Blog on handmade beaded jewellery and beading designs. Facebook fans 3,119. Twitter followers n/a. About Blog Learn the art and creativity of bead weaving. Also find various tips and ideas to create unique handmade jewelry. About Blog Find collection of designer lampwork glass beads by Laura Sparling. Facebook fans 3,154. Twitter followers 653. About Blog Handcrafted jewelry, beads, and findings made with imagination by Leah Curtis. Facebook fans 1,473. Twitter followers n/a. About Blog The blog provides handmade jewelry designs and inspiration. About Blog The blog features unique handmade beaded jewelry. About - Beads Direct is your award winning one-stop-shop for beaders and jewellery makers. The blog contains new ideas using new components and innovative techniques to provide inspiration for everyone. About - Each one of our collectable lampwork beads has been designed and individually handmade using beautiful Effetre Murano glass. Beautiful glass beads & silver jewellery inspired by oceans, mountains, travel & adventure! About - BeadsJar stock a huge variety of beads, charms, findings, tools and stringing materials for all your jewellery making needs. Plus design ideas and tutorials! About - With everything from glass beads to genuine Swarovski crystals, JillyBeads is one of the UK's largest suppliers of high quality beads, wholesale beads and beading supplies. Get beading projects. About - Craftaholique is a UK craft blog powered by a passion for beading and jewellery making. You'll find free craft tutorials, ideas and inspiration on this craft blog. 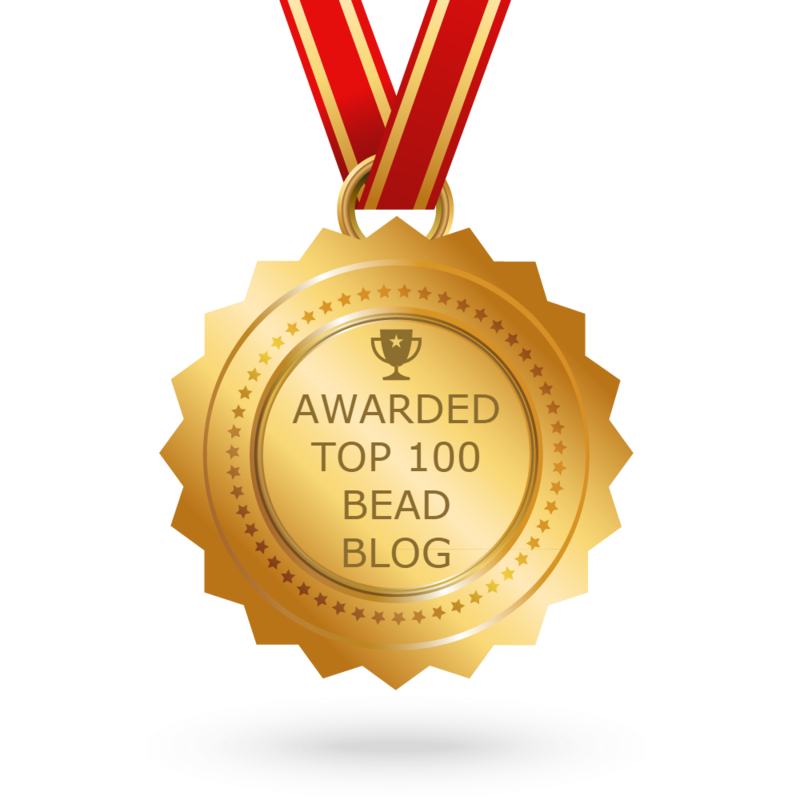 CONGRATULATIONS to every blogger that has made this Top Bead Blogs list! This is the most comprehensive list of best Bead blogs on the internet and I’m honoured to have you as part of this! I personally give you a high-five and want to thank you for your contribution to this world.